The Glamorous Hearts Tour is coming to San Jose, CA on November 7th 2014! We’re rolling out the red carpet and can’t wait to see you all there! 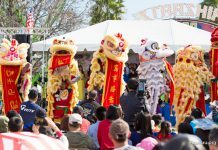 With special live guest performance by Nhu Loan! This wonderful event is for a great cause benefitting Boat People SOS and will showcase the new Spring/Summer 2015 Collection from Thai Nguyen. The OC show at the Hilton Costa Mesa was a big hit and we can’t wait to bring the same energy to San Jose! See you all there! 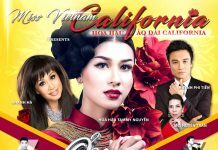 Please come and support our good friend, Thai Nguyen, in his show Glamorous Hearts tour coming to San Jose this Friday! The event will be held at the beautiful Villa Ragusa and we will be offering a special gift for all guests. Forever Beaumore Cosmetics, Inc. is a proud sponsor for Glamorous Hearts and we can’t wait to give an EXCLUSIVE GIFT to all guests and an especially SPECIAL prize for one lucky guest. However, to make things even more exciting – there will be one lucky winner from each table that will be receiving our GRAND prize! See you there. 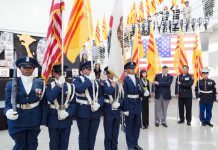 Designer Thai Nguyen will arrive early to San Jose to get ready for Glamorous Hearts Charity show on Friday, November 07, 2014. He’ll be at Rong Biển Restaurant at 2:00PM, Thursday, Nov. 06 to meet his fans & friends. Per friends’ request Thai Nguyen will have some SPECIAL TICKETS for sale at Rong Bien. By purchasing special tickets from Thai Nguyen directly, you will be eligible in a special raffle drawing. The prize is 3 of his signature designed scarves which will be showcasing on show’s runway. Please come to chit chat with him and have a chance to be the winner of his awesomely designed scarves. Forever Beaumore Cosmetics, a major sponsor, will be giving away one gift certificate in the amount of $1,000, 3 gift certs. of $500 each, 5 gift certs. of $300 each, 17 gift certs. of $100 each to the lucky show guests. Each and every guest will bring home one small gift from Forever Beaumore. NO ONE is going home empty handed. Thai Nguyen is not just a talented designer but a person with a loving heart. Behind all his gorgeous designs is the dream of helping the needy. 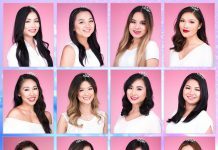 Our beautiful Hoa Hậu Áo Dài Bắc Cali – Miss Vietnam of Northern California Hau Ao Jennifer “Nhu Thy” Chung will be modeling in one of Thai Nguyen beautiful gowns on the runway. Please join hands with all beauties and gents to support a good cause. 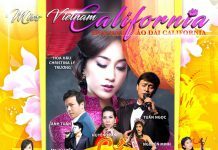 The show features singing sensation Như Loan, Diana Hong, MC Thanh Tung, The Upbeat band and many professional models. Drinks and food will be served. Previous articleNow Accepting Contestant Applications for the 2015 Pageant!